Morning Star Ranch, a.k.a. Morningstar Commune and The Diggers Farm, was a rural commune in west Sonoma County between the towns of Occidental and Sebastopol. 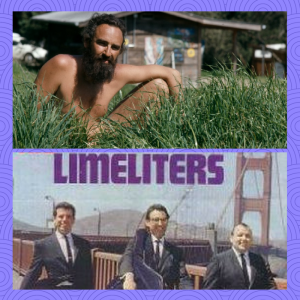 Its founder was Lou Gottleib of The Limeliters music group. Tired of the corporate rat race, he “turned on, tuned in, and dropped out”. He coined the acronym LATWIDNO (Land Access To Which Is Denied No One). They preached that if you told no one to leave, that the land would select who should live on it. 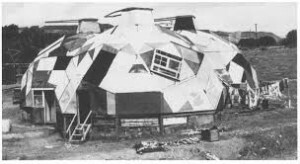 The domiciles at Morning Star Ranch were of a wide variety of shapes and sizes, made of various materials ranging from reclaimed wood to canvas to plastic to glass. Each had its own unique personality and earthly appeal, reflecting that of its residents. Everything from a geodesic dome to a tree house could be found here. The Limeliters were an American folk music group formed in 1959 consisting of Lou Gottleib (bass violin/bass), Alex Hassiley (banjo/baritone), and Glenn Yarbrough (guitar/tenor). 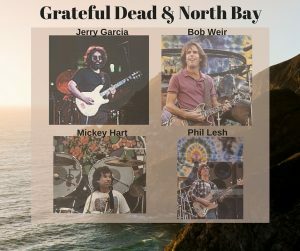 They disbanded in 1965 and reunited again in 1981, but the death of Lou Gottleib four years later was a great loss to the group. Glenn Yarbrough went on to become a successful solo artist until his demise last year. The phrase “Turn on, tune in, drop out” was the creation of Timothy Leary. He was a psychologist who conducted experiments with LSD while teaching at Harvard. He was fired for “failure to keep classroom appointments”. During the sixties and seventies, he was arrested often enough to see the inside of a prison on 36 different occasions. President Nixon once described him as “the most dangerous man in America”. The Diggers were a radical community-activist group. They were anarchists with close ties to the guerrilla theater group known as the San Francisco Mime Troupe, which was headed up by Peter Coyote and managed by Bill Graham. The Diggers believed in a system of bartering where medical, clothing, food and music could be distributed freely. 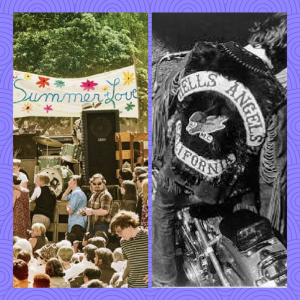 To help with the dispersal of these goods and services, the outfit relied on the cooperation of Sonny Barger and his Hells Angles. With over a hundred thousand teens, vets, and whackos descending upon the Haight-Ashbury during the Summer of Love in 1967, much of the above goods were in short supply. To help alleviate this problem, Morning Star Ranch grew fruits and vegetables for the masses back in the City with the understanding that the Diggers would care for the crops at the commune. 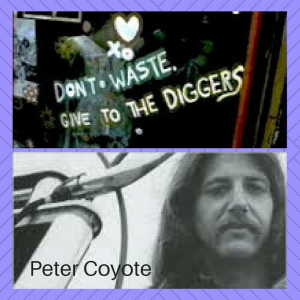 Peter Coyote starred in such films as Jagged Edge, Outrageous Fortune, Erin Brockovich, and A Walk to Remember. He has said that he is a Zen Buddhist first, an actor second. Sonny Barger is the founder of the Oakland chapter of the Hells Angels. He became known as the “guardian angel” of the Haight Ashbury, helping with the transportation of food from Morningstar to San Francisco as well as providing free security for music concerts. Many believe this was a cover for his operation’s control of the LSD trade in the City. Bill Graham held an arrangement with Morningstar for their Gravenstein apples. If he aided the Diggers with the maintenance of the orchard, he could have all the apples he wanted. The fruit had special meaning for him. It was the one thing that kept him alive as he fled from the Nazis in World War II as a ten-year-old. Apples were a standard giveaway at his Fillmore Auditorium concerts, a private tribute to his survival. The thirty acre commune of Lou Gottleib drew young people who sought freedom from convention, government and parents. They wanted to “get back to the land” where they could escape the rigidity of mainstream America. Most sported full tans as clothing was optional. 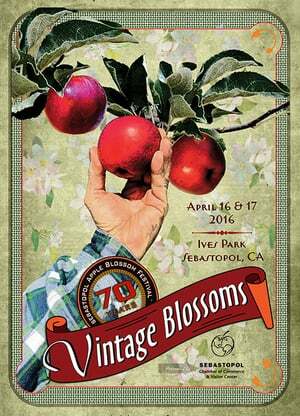 People gravitated into groups, which became “neighborhoods” with their own special flavor. There were families of few and many, singles and couples. All these could change in a heartbeat and often did. The ranch existed in this state for a short time (1967-1972). In an attempt to ward off the many threats from his neighbors, Lou Gottleib willed his land to God. After all, who ever heard of God paying taxes? A series of court appeals culminated in the 9th District Court ruling that God had no property rights in the state of California. Sonoma County finally placed a permanent injunction, forbidding anyone but members of the Gottleib family from living at Morningstar. The county proceeded to bulldoze the structures at Morningstar on three different occasions all at Lou Gottleib’s expense. He was held in “contempt of court” for not telling the commune residents to leave, earning him $14,000 in fines as well as a week in jail. Morning Star Ranch is currently up for sale by the Gottleib heirs. They are seeking someone who would like to purchase the land and donate the acreage to a local land trust. A special thank you is due to anonymous subscribers for sharing their memories of Morning Star Ranch. Also, a note of appreciation goes to the following individuals and organizations: Marsee Henon, Friends of Rio Nido (http://rionido.net/history/postcards) Card Cow Vintage Postcards (https://www.cardcow.com), Sonoma County Historical Society, Russian River Historical Society, San Francisco Museum and Historical Society, and Wikipedia. 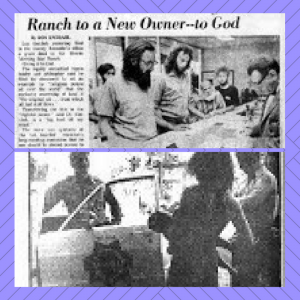 Bill Wheeler and Lou Gottlieb established communes in west Sonoma County in 1967 during the Summer of Love fifty years ago. Lou’s Morning Star Ranch was west of Sebastopol while Wheeler Ranch was on Coleman Valley Road west of Occidental. The land set people free of convention, government and uptight parents. 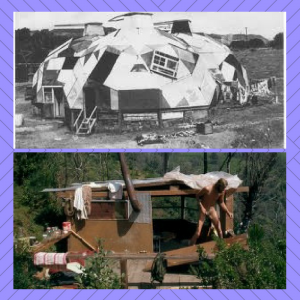 Abodes consisted of everything from earthen domes to tree houses to a mattress under the stars. There was no electricity while showers were found under a garden hose or inside a sweat house. The preferred dress code was au naturel, weather permitting. Morningstar Ranch in Occidental, CA was an active open land counterculture commune (also known as The Digger Farm). 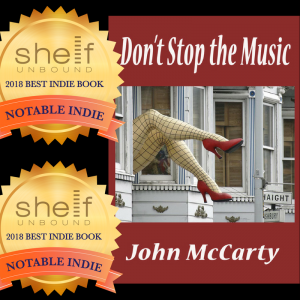 In my upcoming crime novel, Don’t Stop the Music, two youths flee from the clutches of a San Francisco mobster and hide in the redwood hills of rural northern California at the enclave.